At Todd’s Easy Moves, we use 35 ft. trucks with solid oak floors. The trucks are fully equipped with tie-downs, packing quilts, appliance and cargo hand trucks, and dollies. To prevent scratching of hardwood floors we use special runners. We use door jam protectors to protect your doors.Refrigerators, washers, dryers, water beds, baby beds, and bunk beds are carefully broken down and reassembled at destination. We also have 16 ft. and 20 ft. enclosed cargo trailers for any overfill. Ask about our special small trailers for lawn mowers and storage shed contents. For local moves within 35 miles we charge by the hour. We have a two hour minimum and a citywide 45 minute travel time. See our Rates Schedule for more details for local rates.We will load and unload rental trucks for the same hourly rate with a 45 minute charge for travel time. Prices for moves over 35 miles are based on the pound and mile. Please call the office at 336 766-1155 for an estimate. If your moving out of state we charge by the pound and mile. Please call 336 766-1155 for an estimate. Across The Town, The State or The U.S. There will be an additional charge for pianos, pool tables, hot tubs, televisions over 40 inches, and items over 400 pounds. Notify our agent for a price quote on over sized items when scheduling. Packing is available for a rate of $156.00 an hour for three (3) packers on the day of your move for local and intrastate moves. Our packing is insured and guaranteed. 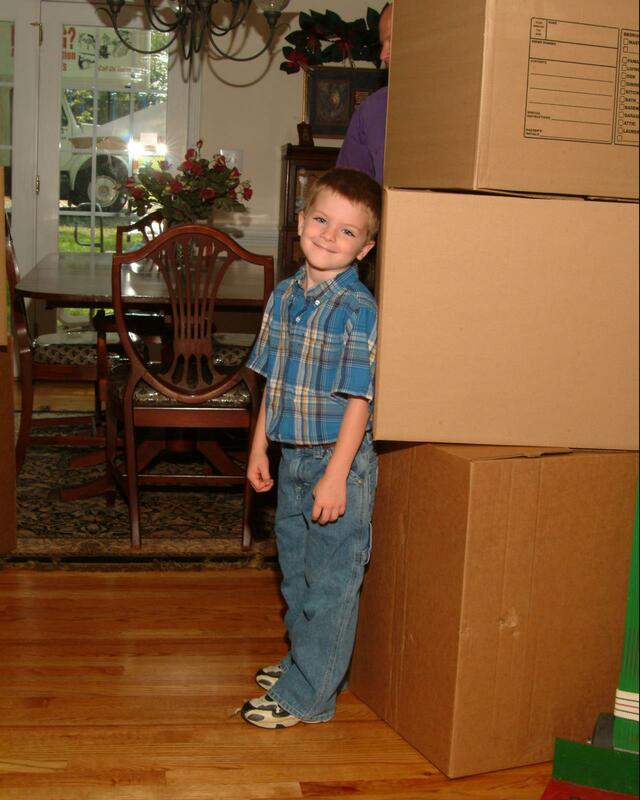 New boxes and packing materials are available at an additional cost. Any packing done by the customer will not be insured unless the box is damaged. At our store we sell boxes, paper, tape, bubble wrap material, unprinted newsprint roll, and furniture bag. Come by and check out our great prices! With a $50 minimum purchase of materials, we offer free citywide delivery. If you are storing your furnishings, ask about our quilted packing tarps and plastic slip covers to protect them from damage. Used boxes and packing materials are available at 40% off while supplies last. We will gladly buy back any unused new boxes. We will gladly serve you Monday through Saturday. To guarantee your choice of date and time, we ask for at least a one (1) week’s notice. Emergency services are also offered. If we are called out between 6 PM and 5 AM for an unscheduled move, a state regulated overtime charge will be added. This rate also applies to major holidays, such as Easter, Thanksgiving, Christmas, and New Year’s Day. 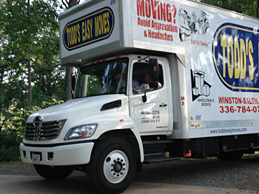 Todd’s Easy Moves is an insured and bonded moving company. To assure your safety and ensure your furnishings, we do not permit outside help on our trucks. Cash, certified check, Visa, Master-card or Discover will be accepted as payment. Payment is due when services are rendered. We accept cash, certified checks made out to Todd’s Easy Moves, visa,master card, and discover. For credit cards you must have a land line phone and notify the office at least two days before your move so that we know to bring the terminal. 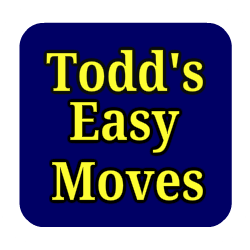 Copyright © 2015 Todd's Easy Moves. All Rights Reserved (USDOT #2390090, MC #822337).